Dash Media Beast Of No Nations Emmanuel Nii Adom Quaye Entertainment Idris elba 'Beast of No Nations' young star begs on the street..
'Beast of No Nations' young star begs on the street.. Remember 'Strika' in 'Beast Of No Nations'? I mean the young boy that acted alongside Idris Elba.....exactly!. The boy now begged for money on the street. According to a Facebook user who saw him along the road, he said he decided to take the young star to his place of work for further information. I am sad this morning. I was heading to the Ghana Institute of Journalism campus and I met Striker. You would ask who is Striker? Striker starred in the movie Beast of No Nations. The said film that made Abraham Attah. Today I met him begging for money on the road leading to GIJ. I called him and brought him to campus. Speaking to him he tells me he now works with a gentleman who sells Yam at Agbogbloshie Market He stays with his grandma at North Kaneshie. 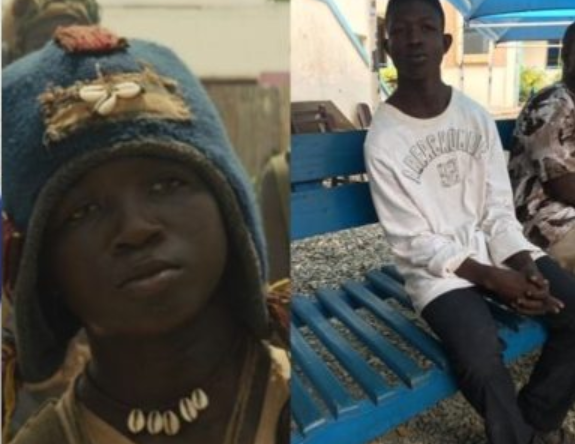 Quaye Emmanuel Nii Adom was said to have been given $30,000 for the film but was taken away from him by handler who promised to pay the money once he turned 18. Unfortunately, the person hasn't fulfilled the said promise. 0 Comment to "'Beast of No Nations' young star begs on the street.."